Over the winter, Austin Peay head coach Amy McCollum reached out to the Folds of Honor Military Tribute Program (FHMTP), which provides the opportunity for any college program in the WGCA (Women’s Golf Coaches Association) to honor a fallen or severely wounded soldier by carrying a golf bag displaying their name, rank and branch of service. As part of their work with the FHMTP, the Govs will honor Staff Sergeant Shaun Mittler (1977-2010) during the entire 2018-19 season. A Gladstone, Missouri native who joined the Army at age 19, Staff Sgt. Mittler was twice stationed at Fort Campbell, including a second time when he was able to enroll at Austin Peay. He fought for America’s freedom and rights on three tours of duty, twice in Iraq before his third deployment to Afghanistan. Additionally, Mittler served at Camp Casey in South Korea, close to the Demilitarized Zone (DMZ) and trained in Panama and Thailand. After serving in the Kansas National Guard following his first stint in the service, Mittler returned to active duty following the events of September 11th, 2001, advancing from private to staff sergeant during a distinguished career that would’ve seen him retire in 2018. His awards and decorations include: Army Commendation Medal; Army Achievement Medal; Army Good Conduct Medal; Meritorious Unit Citation; National Defense Service Medal; Afghanistan Campaign Medal; Iraq Campaign Medal; Global War on Terrorism Service Medal; Global War on Terrorism Expeditionary Medal; Noncommissioned Officer Professional Development Ribbon; Army Service Ribbon; Overseas Service Ribbon; NATO Medal; Combat Infantry Badge; Expert Infantry Badge; Air Assault Badge; Driver/Mechanic Badge; and Weapons Qualification: M4, expert. 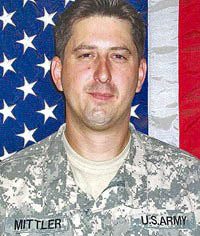 He was laid to rest with full military honors July 24th, 2010. “Everyone remembers him as a beautiful active little boy with the biggest smile on his face, tearing up the sidewalk on his Hot-wheel. Shaun joined the Army at the age of 19. The world was stable, no war, what could go wrong? Joyce’s memory of the day her son’s death is as haunting as it is beautiful. Each week, a different Austin Peay golfer will carry the bag honoring Mittler’s legacy around the course. McCollum believes in the importance of honoring our fallen soldiers and those who made the ultimate sacrifice for our freedom. “The Folds of Honor program is such a great way to honor someone who has sacrificed everything for us and this country,” said McCollum, whose brother Marty is a Second Lieutenant in the 411st Civil Affairs Battalion in Connecticut. “As we have the opportunity to travel to new places, to experience new things, to play a sport we love, sometimes we need to take a step back and reflect on the fact that we are playing a game and that there are people out there putting their lives at risk for our freedom every day,” stated McCollum. 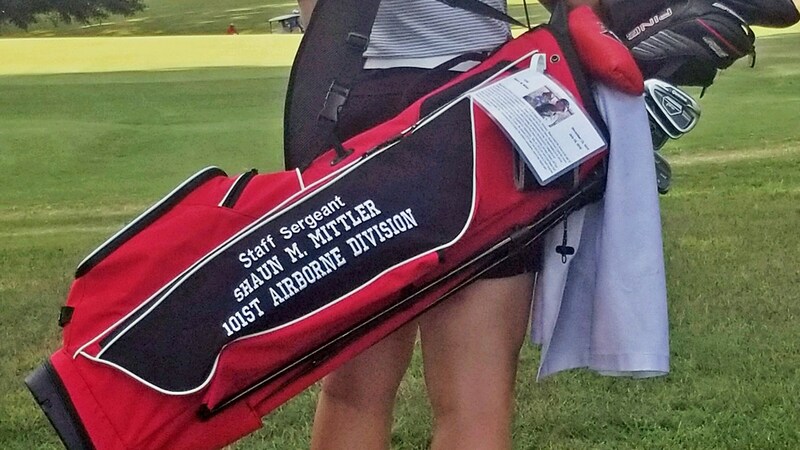 “It puts things in perspective to see an actual soldier’s name on their golf bag. This is someone who made the ultimate sacrifice in the name of freedom, which is such a powerful testimony to the person that Shaun was,” McCollum said. This program is also available at the high school level; for prep program directors looking to get involved may contact Golf Coaches Association of America (GCAA) program director Katie Louis at katie@collegiategolf.com for more information.